Miscellaneous bits of news and fun stuff from around the Internet... This week's roundup is positively overflowing with interesting items! ...Critic's Choice video is currently selling two remastered Warner Archive exclusives: SERENADE (1956) directed by Anthony Mann and starring Mario Lanza and Joan Fontaine, and GREEN DOLPHIN STREET (1947) with Lana Turner, Donna Reed, and Van Heflin, directed by Victor Saville. I've never seen SERENADE, but GREEN DOLPHIN STREET is great soapy fun, including an Oscar winning earthquake! ...Meanwhile, starting on November 8th Movies Unlimited is exclusively selling remastered Warner Archive releases of THE GREAT WALTZ (1938) and RHAPSODY IN BLUE (1945). Past exclusives, incidentally, have eventually gone on sale at the Warner Archive website. ...The TCM Classic Film Festival returns to Hollywood for a third time next April 12-15. Passes go on sale next month. 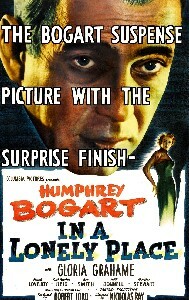 ...At TCM's Movie Morlocks blog, Suzidoll has posted an essay on Bogart and Grahame in Nicholas Ray's IN A LONELY PLACE (1950). ...Those were the days: check out this L.A. Times photo of movie stars at a 1940 Red Cross fundraiser at Hollywood Park. ...Here's a recipe for freezable dough for Bakewell Cream Biscuits from King Arthur Flour. They look wonderful! ...The Carole Lombard blogathon post at My Love of Old Hollywood includes a fascinating 30-second snippet of newsreel footage of the christening of the Liberty ship the SS CAROLE LOMBARD, with Clark Gable, Irene Dunne, Robert Montgomery, George Murphy, and Louis B. Mayer in attendance. ...Lou Lumenick recently reviewed John Payne in THE BOSS (1956), which sounds most interesting. It's a release in the MGM DVD-R line from Amazon, and it can also be seen via Netflix Watch Instantly streaming. 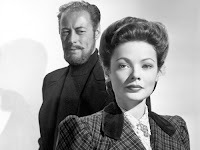 ...Hooked on Houses takes a close-up look at Gull Cottage from THE GHOST AND MRS. MUIR (1947), including some terrific set stills. ...At Speakasy -- formerly Kristina's Kinema -- Kristina has been doing some terrific roundup posts. Be sure to pop over for a visit! ...Amazon might want to buy Palm? ...This funny photo helps illustrate why protesting against "evil corporations" is so silly. As John Hinderaker writes, "Who do they think designs, manufactures and distributes the products they use? Elves?" 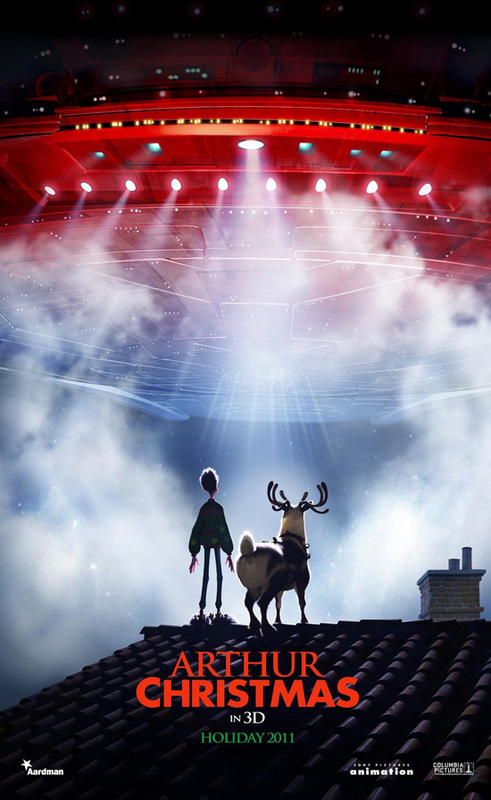 ...Speaking of elves (grin), this weekend I was completely charmed by an unusual "scene preview" trailer for the animated film ARTHUR CHRISTMAS (2011), which will be in theaters on Thanksgiving Eve, November 23rd. It was very creative and blissfully free of the crass humor which appeared in the other trailers for animated films. James McAvoy voices the title character, with Hugh Laurie, Jim Broadbent, Bill Nighy, and Imelda Staunton also in the cast. The movie seems to have a nice "British" feel, including not only the accents, but Royal mailboxes and stockings hung on the ends of beds. I haven't found the trailer which intrigued me online, but others can be found at IMDb or the film's official website. ...Although it has its crass elements, I also enjoyed the trailer for Katherine Heigl in ONE FOR THE MONEY (2012), due in theaters next January. And check out who's playing her Grandma! Most of the trailers seen on our two visits to the movies this weekend were, frankly, ghastly. 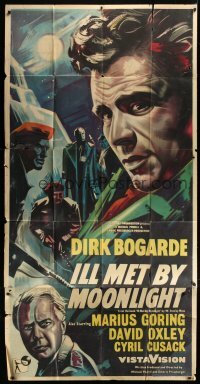 ...Glenn Erickson's latest reviews at DVD Savant include ILL MET BY MOONLIGHT (1957), a fact-based Dirk Bogarde film which sounds most intriguing. This Powell-Pressburger movie costars Cyril Cusack and Marius Goring. I wrote more about the DVD and the story's real-life hero last June. ...Kevin Williamson of National Review pays tribute to Steve Jobs and the power of capitalism to improve lives. ...Mike Clark of Home Media Magazine reviews the recent Twilight Time release of Olivia de Havilland and Richard Burton in MY COUSIN RACHEL (1952). ...Here's a fall cookbook roundup from the Boston Globe. ...This story about FIREFLY, actors Nathan Fillion and Adam Baldwin, and censorship at the University of Wisconsin is simultaneously disturbing and heartening. Good for the actors for getting involved. 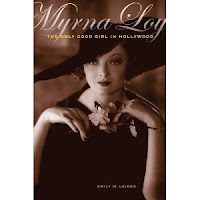 ...At Immortal Ephemera, Cliff has written a thoughtful, detailed review of the new biography MYRNA LOY: THE ONLY GOOD GIRL IN HOLLYWOOD. ...Susan King of the Los Angeles Times interviewed Elvis Mitchell, the new curator of the film program at the Los Angeles County Museum of Art. ...L.A. Weekly has named the Egyptian Theatre the "Best Historic Film Theatre" of 2011. ...Robby has yet another great post at Dear Old Hollywood, this time on an L.A. location for the great pre-Code film FEMALE (1933), starring Ruth Chatterton and George Brent. ...Notable Passings: The Los Angeles Times reports the deaths of character actor Charles Napier, age 75, and longtime TONIGHT SHOW bassist Joel DiBartolo, age 65. I was interested that after his retirement from the TONIGHT SHOW, DiBartolo joined the faculty at Northern Arizona University, where my son is currently attending college.